It was early February last year when 17-year-old Olivia walked into AWPC for a pregnancy test. 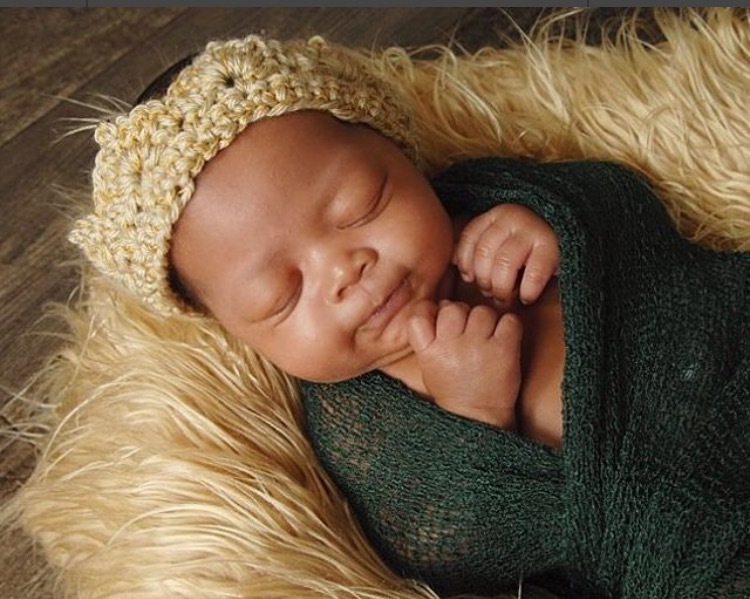 Her pregnancy was not planned and she was scared, but the thought of a baby sparked a bit of hope and joy in her mind. She had yet to tell anyone that she thought she might be pregnant. Her talk with and AWPC ultrasound tech that first day eased her mind a bit as she processed the life change that had come so quickly. 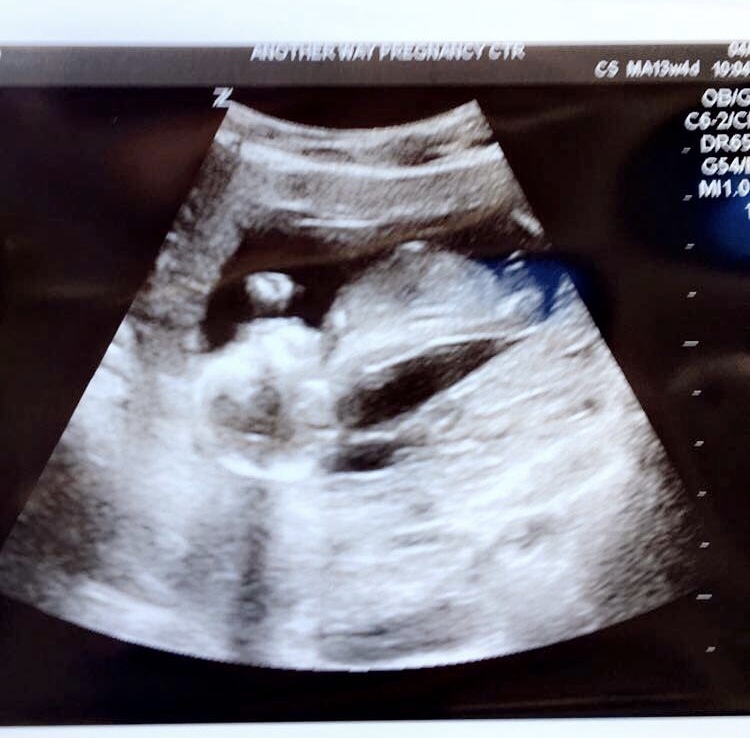 Olivia's first picture of her child - an ultrasound image from Another Way Pregnancy Center. “It was like talking to my best friend,” she recalled about that first conversation at AWPC. Like so many mothers, that first ultrasound picture of her baby - just a tiny 6 weeks and 3 days - is a precious memento that she still proudly shows off. The first day she came in she signed up for the Earn While You Learn program and scheduled an appointment for her and her boyfriend - who still didn’t know about the pregnancy. When she told him a few days later, he had a hard time accepting it. She says he didn’t tell her what to do, but said that he wouldn’t be upset if she got an abortion. But it was his mother that had the hardest time with the news. Olivia remembered her strongly pushing her for an abortion those first few months, with painful interactions and arguments. Thankfully, Olivia’s own mother was calm when she found out, and supported her by taking her to appointments. She was 21 weeks pregnant when the car accident happened. She was on her way to an EWYL appointment. Her car was totaled, and Olivia was rushed to the hospital in an ambulance with concerns for her unborn child. Thankfully her baby boy was ok, but the car accident cause her to start dilating. It wasn’t enough to be of concern at the time, so she was sent home and continued preparing for her new baby with visits to the center. Her sweet spirit is evident as she speaks with gratitude about the center during this time. Her client advocate for the her EWYL sessions happened to be pregnant at the same time, so Olivia felt an extra layer of support and understanding as she went through her pregnancy journey. She would need that continued support. On August 3rd, over two months before her little boy was due, she started having contractions. She went to the hospital where they discovered she had continued to dilate, but still not enough for them be concerned. She stayed overnight at the hospital to be monitored, but was sent home the next day. But something still didn’t feel right to Olivia. The next day, at 30 weeks and 6 days, her water broke. Friends rushed her to the hospital, but there was no NICU. She was transferred to another hospital via ambulance and after nine hours of labor delivered her 3 lb 9 oz beautiful baby boy, Michael. Baby Michael was in the neonatal intensive care unit for over four weeks after being born at 30 weeks and 6 days. The process was overwhelming and stressful - ambulance rides, unsuccessful magnesium shots to try to stop the labor, and a baby who came out silently when he was first born. The last few weeks and months of development inside the womb are most crucial for lung development, so premature babies often struggle with breathing issues and are more susceptible to illness in their first few weeks and months of life. 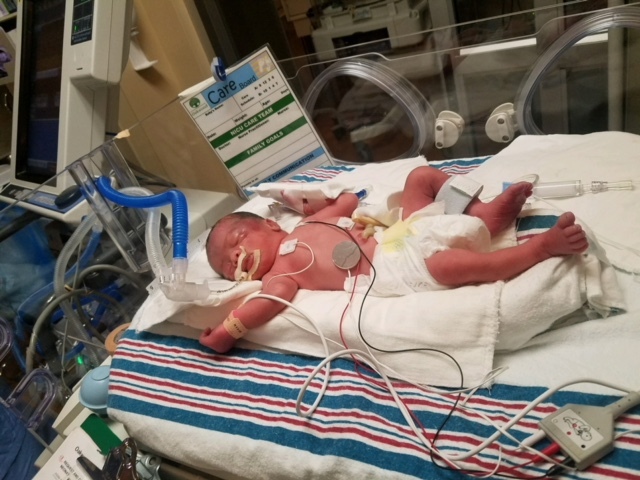 Thankfully, the nurses and doctors got him to cry and breathe quickly, and little Michael was immediately rushed to the NICU and incubated. By the nighttime on his first day they were able to pull his breathing tube out, but breathing treatments continued for the next week. Michael was able to come home in early September, still a full month from when he was originally due to be born. He was still only four pounds, and Olivia remembers it being terrifying those first few days. 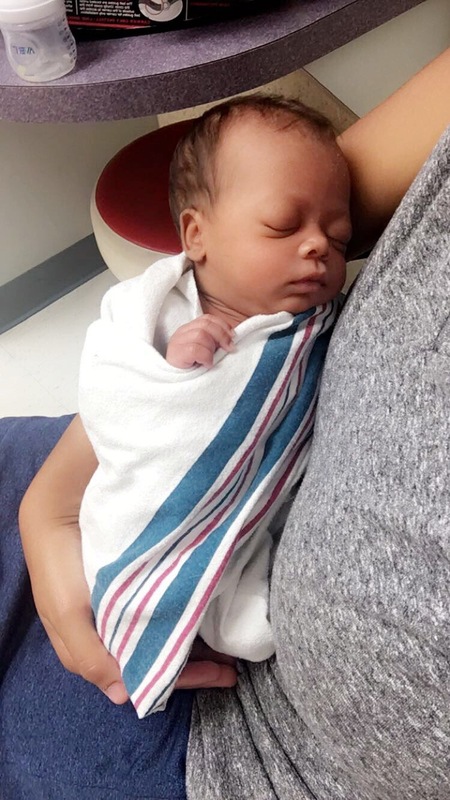 She came back to EWYL while Michael was still in the NICU to learn about newborn care, baby development, and receive support. When asked about what she would tell a young woman who found herself in the same situation, she speaks with clear determination. Baby Michael with his parents.